Residential moving can be a stressful and uneasy experience. The dedicated staff at Discount South Florida Movers understands this and will do whatever it takes to ensure that your relocation goes smoothly and to your complete satisfaction. We understand that your furniture, appliances and valuables mean a great deal to you and we guarantee that every item will arrive to it’s destination in perfect condition. Our expert packing team will custom wrap your entire house to ensure it’s protection. Homes that are packed with care are the ones that are most likely to be involved in smooth, efficient relocation. So turn to us for all your packing needs such as boxes, paper and tape If you are not very confident in your packing abilities or just do not have the time. Wee will be happy to pack your possessions for you in a manner that will ensure a safe journey. Our team can even pack the difficult items and leave the easy stuff like books and clothes for you. Our professional moving teams will transport all of your personal items with the greatest of care All of your belongings whether they are family heirlooms, large, small or anything in between will be handled and shipped in the safest manner. Soft furniture such as mattresses will be covered in plastic to prevent soiling. Any items of furniture that need to be disassembled for transport will be reassembled upon arrival to your new home. When it comes to choosing a residential mover, you need to compare several options. How much should you spend and what should you look for? Be certain that you are getting a fair price quote in writing. You will want to research your moving decisions entirely to ensure honest answers to all your questions. You want to be assured of good service (you may need to have the move date changed, perhaps move more items then you expected, or maybe help with packing. Most likely, you want to deal with a well respected moving company and a knowledgeable salesperson. 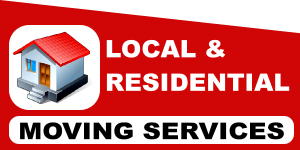 So, where do you turn when choosing a residential moving service? 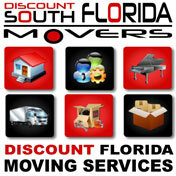 Discount South Florida Movers will provide the best service for your money that are customized to your budget and time schedule. Contact us today at (855) 310- 1800 and take advantage of our free in home estimate service for a guaranteed quote in writing. Discount South Florida residential movers will ensure a safe transport of your most precious belongings and deliver them to your destination in pristine condition.